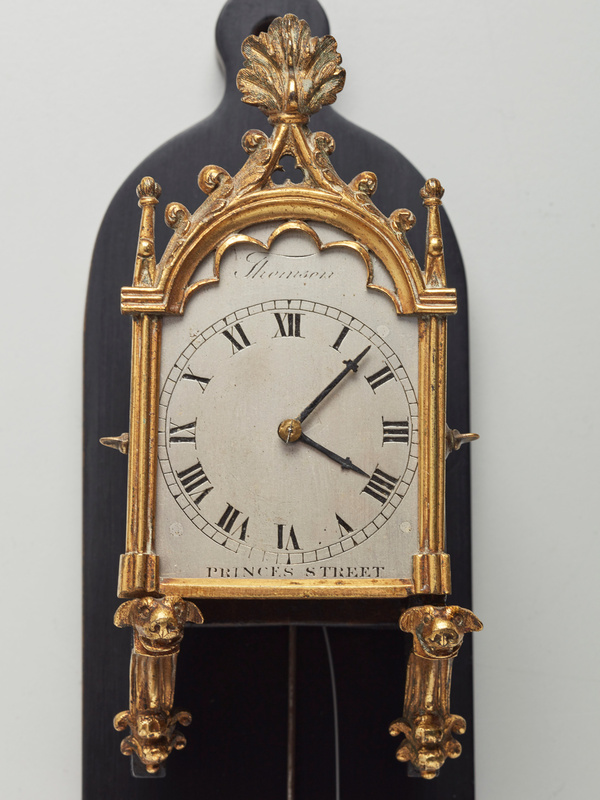 A lovely unusual miniature Vienna wall clock or “brettle Uhr". 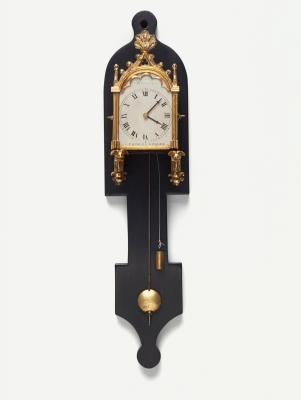 This one was specially made for the British market in the popular Gothic Revival style circa 1835. 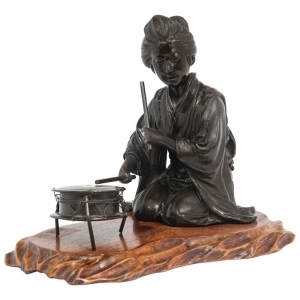 It was ordered by the Thomson company of Princes Street, probably Edinburgh, Scotland. 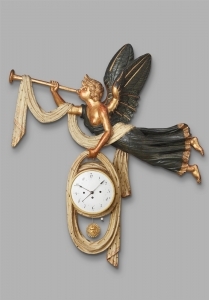 These small clocks were very popular to celebrate the Gothic Revival and this one was made in Vienna, but likely to have been sold to fashionable shoppers in the famous Princes Street in the heart of Edinburgh. 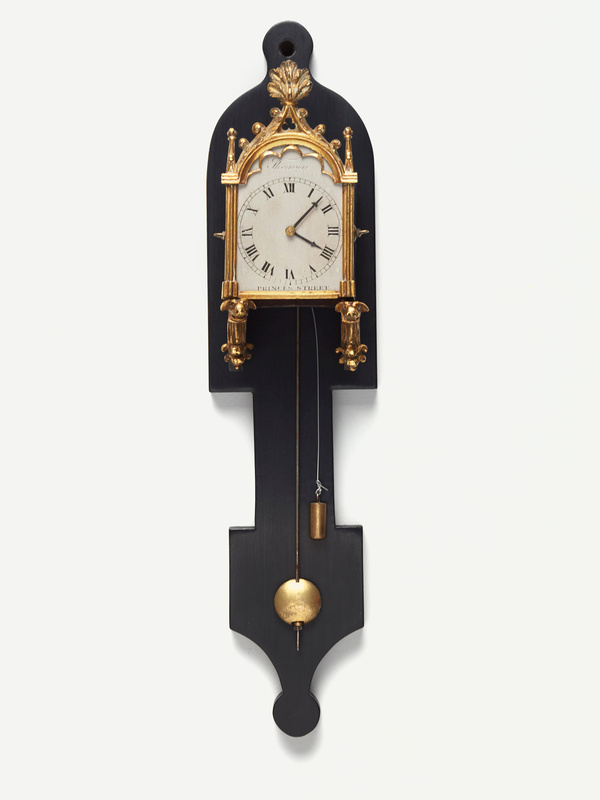 The name "brettle Uhr" (German language) comes from the term ‘brett’ which is the backplate on which the clock itself is mounted. 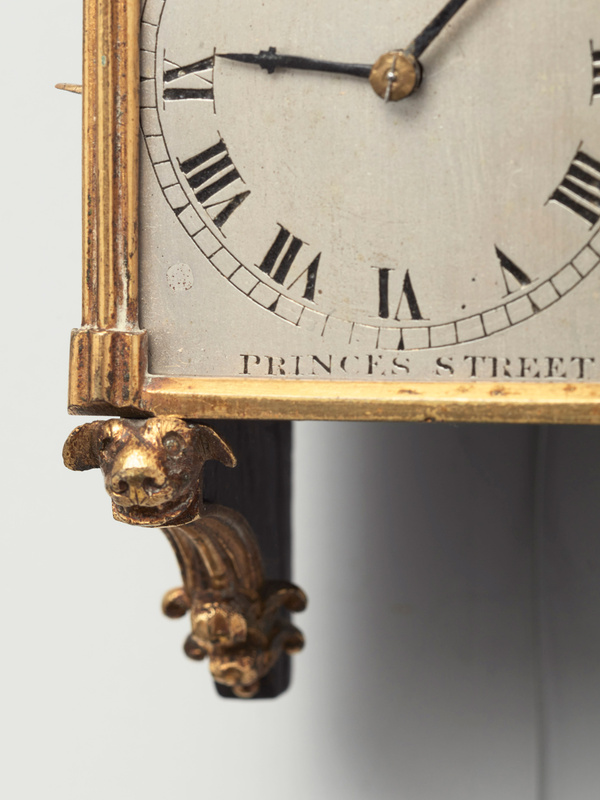 The movement is supported by two gilded hound dogs - these were very popular Gothic Revival motifs. 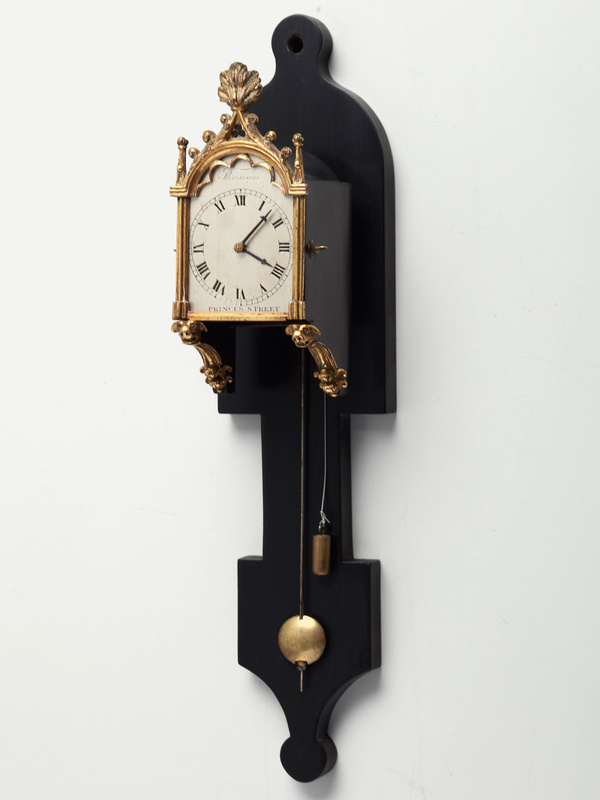 The fine silver dial is surmounted by a fire gilded bronze ogee arch with gothic tracery. 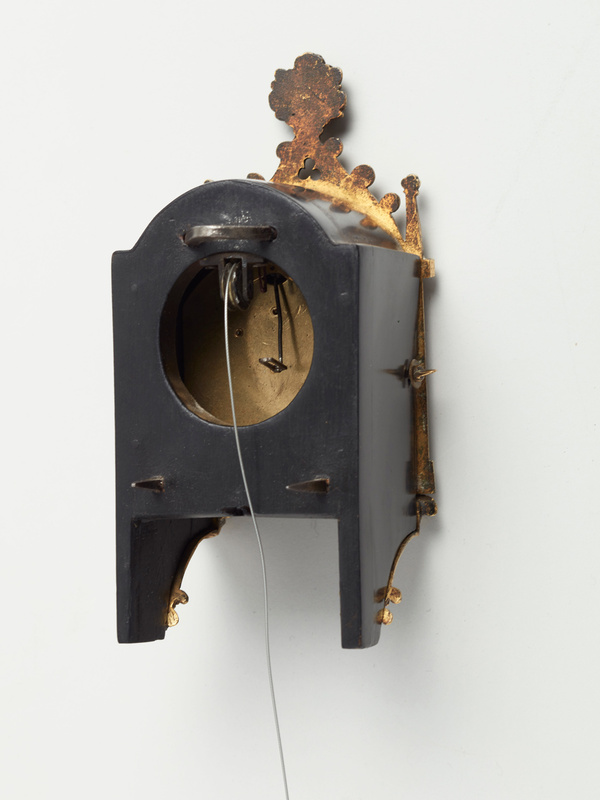 The black colour of the backplate contrasts well with the fire guilded case. 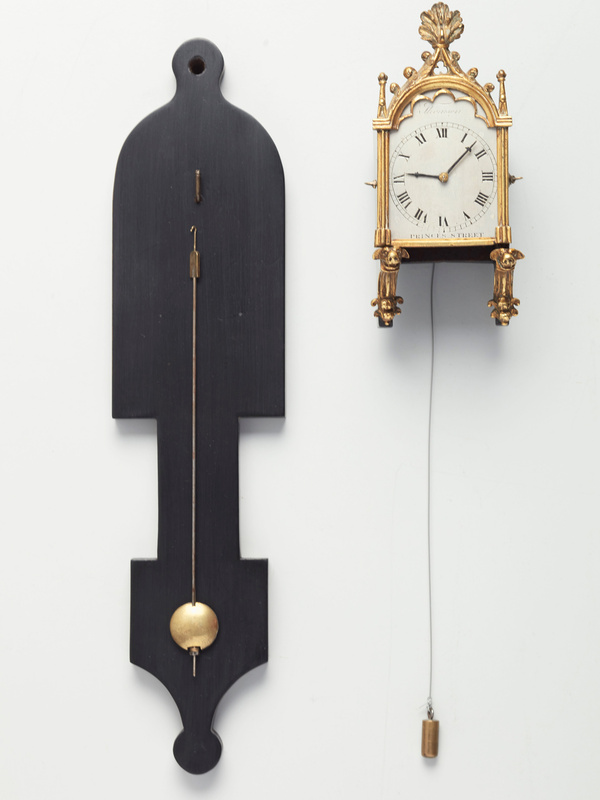 The one day spring driven movement can be wound up by pulling the rope on the right side of the clock. Lovely black steel hands. 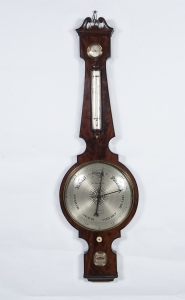 Anchor escapement, ‘silk thread’ suspension. 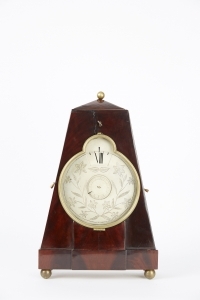 There are many collectors for these small clocks, but they are difficult to find. 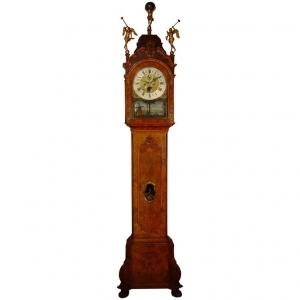 A Dutch burr walnut longcase clock with rare ‘swing automaton’ by M. Buys Amsterdam, circa 1775. 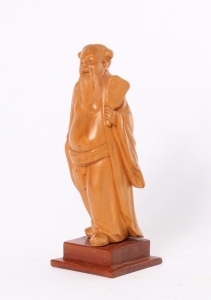 A lovely Chinese carved boxwood sculpture of a man, circa 1920.